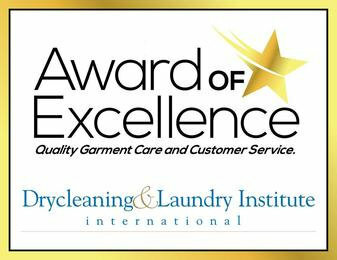 International Fabricare Institute, the premier trade association for garment care, utilized its research and testing expertise to gauge the effectiveness of home dry cleaning kits, and found that in general they do not provide complete removal of all types of stains. They also cannot remove ground-in soil. These products can freshen garments by removing odors and imparting a pleasant fragrance. What do you get in a home dry cleaning kit? 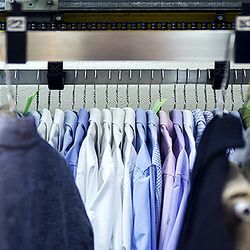 Garments are freshened when they are placed inside the dryer with the cloth, which is activated by the heat of the dryer. Up to four garments can be placed in a bag (along with the dryer-activated cloth) when using one of these products. The stain removal solution (which is dispensed form a plastic bottle) is applied directly on the stain, while the user holds an absorbent pad underneath the stained fabric. Consumers are instructed to apply the solution until the stain is no longer visible or until it is evident that the stain cannot be removed. For kits that employ only a dryer-activated cloth, consumers are advised to use the cloth to remove stains. All kits recommend removing stains before garments are placed in the dryer. In general, most of the products work well on freshening or removing odors such as smoke. Therefore, these products can be successfully used to freshen garments; for example, removing odors from sweaters after winter storage. In terms of stain removal, IFI found that most of the products work well on water-based stains such as cola. Stains that are oil-based (ketchup, lipstick) presented more of a challenge for the home dry cleaning kits. In some cases, these products caused the stain to spread, which created a bigger stain. None of the products removed ground-in soils, which consumers typically see as "ring around the collar" or dirty cuffs. Can home dry cleaning kits cause damage? When using a home dry cleaning kit, consumers should beware of the following types of damage they could induce when using the stain removal solutions: rings, chafing, broken fibers on a loose weave, local shrinkage on crepe or water-sensitive fabrics. 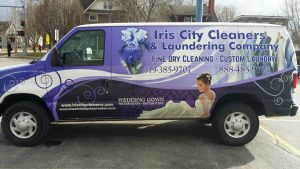 IFI's testing found that home dry cleaning kits failed to completely remove stains such as ketchup, lipstick, and cuff soil, resulting in a less-than-satisfactory appearance.